Right Care. Right Place. Right Time. Has the following situation ever happened at your hospital? A patient, named Bob, comes in for heart surgery over 20 years ago. Since then, he comes in as needed for “tune ups”. Over the years, Bob has become very familiar with his care team. It’s now that time for Bob to come in for his latest procedure. When Bob arrives, his care team discovers that due to an error in ordering that they didn’t have the right supplies in the room for him. The care team could not provide Bob with the care he needed, in that place, at that time. Defects in any business carry an associated expense, but medical errors also carry significant human costs. In the publication Medicare: A strategy for Quality Assurance, the Institute of Medicine estimated that medical errors cost the nation approximately 37.6 billion each year, which roughly $17 billion of these costs associated with preventable errors1. In Bob’s situation care teams are assigned to specific rooms, so moving to a different one was not an option. Due to this error, Bob’s care team were left idle for 4 hours until their next patient arrived. Additionally, Bob would need to choose to either have the procedure with a brand new care team or reschedule to come back another time. This error seems costly to both the facility and Bob. So how do you make sure that your patients are getting the right care, in the right place, and at the right time? View our Patient Experience On-Demand Webinar! Lean Six Sigma is a method that relies on a collaborative team effort to improve performance by systematically removing waste and reducing variation. It combines lean manufacturing (think Toyota) with Six Sigma to eliminate the eight kinds of waste; defects, over-production, waiting, non-utilized talent, transportation, inventory, motion, and extra processing2. Lean Six Sigma not only reduces process defects and waste, but also provides a framework for overall cultural change. In the case of our friend Bob, the defect began in inventory but you can see how that the waste spills over and causes more waste in areas such as waiting, non-utilized talent, etc. 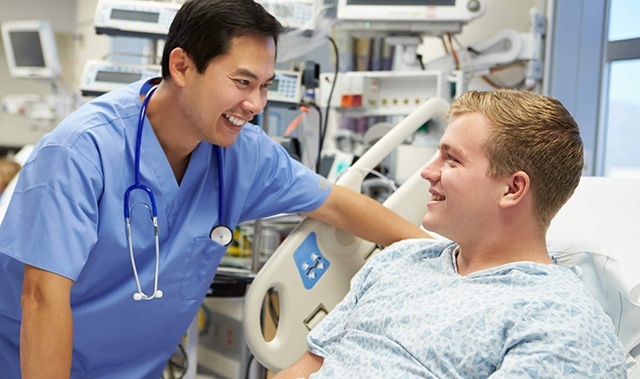 A Lean Six Sigma Clinical Study, named “Captain of the Ship”, was done at a Charleston area Medical Center with a goal to ensure physicians were identified to manage each patient’s care with a goal to improve patient and family satisfaction regarding communication and coordination of patient care. During scoping, they found they needed to redesign the care coordination process to promote the right care in the right setting. They revised medical staff rules and regulations, established pre-scheduled conferences with attending and family on complex patients to clarify “who’s in charge”. In addition, they improved their process of identifying the patients Advanced Medical Directives, improving the End of Life care. Results showed a total savings of $790,000 between Patient Satisfaction, Care Coordination and End of Life Care3. Six Sigma is scalable to organizations of every size and demography and as the results above illustrate, it can be effectively applied to many areas and issues in healthcare, addressing clinical as well as operational challenges. How can you improve processes at your organization using a lean six sigma approach? Download Our Clinical Pathways eBook! After defining your process, you must collect the right data at the right time in order to have continuous improvement. This has been an obstacle for many organizations due to the lack of IT infrastructure, shortage of resources, and disparate technologies. Providers can be data-rich and remain information-poor due to lack of interoperability or visibility to their data. Organizations need an easy to implement solution that has minimal project time for IT. Caregivers need easy access and visibility to patient related clinical and psychosocial data. The technology they use needs to have a configurable and robust workflow that will track the data needed to analyze to cut wastes and make improvements. 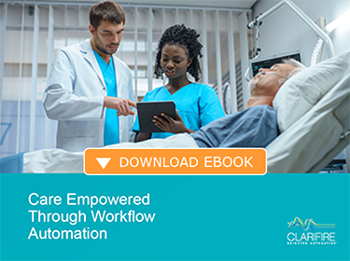 CLARIFIRE HEALTH provides an innovative way to standardize the processes of care across the organization. Our mobile technology streamlines workflow associated with administering patient care. Enabling participants to have the information they need, when they need it. With successful measurement of processes and variations of care, the result is higher quality and better, more consistent outcomes. Go beyond standardizing surgical pathways, raise the bar for excellence of care. If you liked this blog, read these next!